Sage has introduced a new way to browse inventory items without ever having to leave Sage CRM. 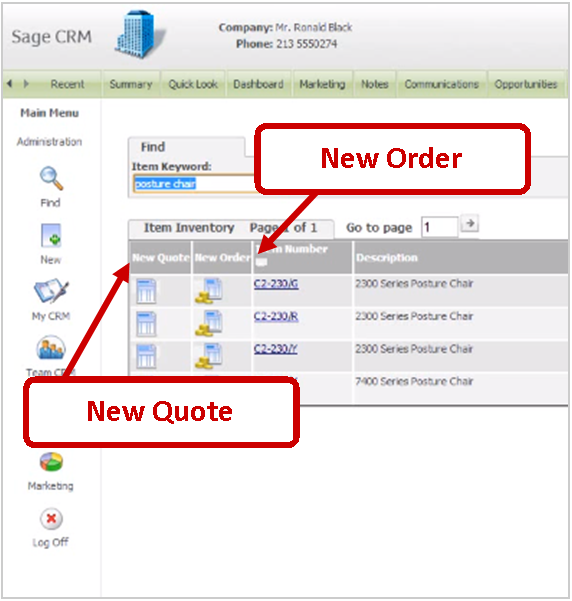 This integrated Sage 300 ERP and Sage CRM feature puts real-time inventory information right at your fingertips – making it easy to create new quotes and orders. 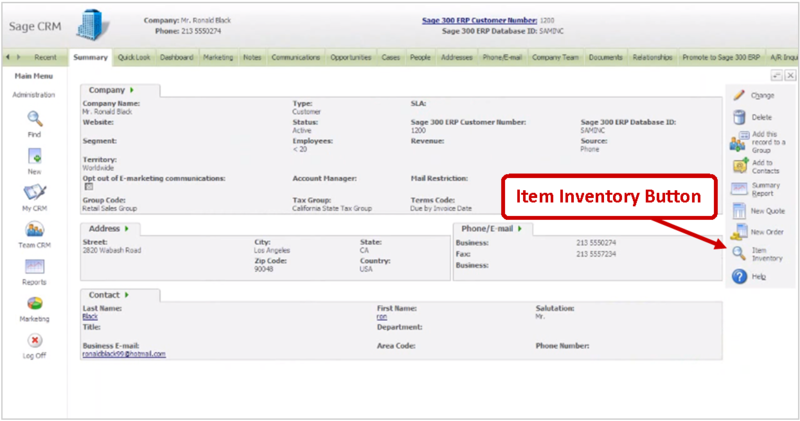 Here’s how to look up inventory items in Sage CRM. When viewing an ERP customer in Sage CRM, a new Item Inventory Button will appear on the Company Summary screen. Click this button to look up any inventory item and create a new quote or order. Once you’ve clicked the Item Inventory button, use the Item Keyword field to search for specific inventory items. You can search for items by typing in a few keywords or phrases found in the item description, or by item number. For more detailed item information and location quantities, simply click on the item number. To create a new quote or order for an item, click on the New Quote or New Order button. Sage CRM will then create a new quote or order for your customer and that item will automatically be added to the quote or order details, then subsequently transferred into Sage 300 ERP. Next, specify the quantity to include in the quote or order, add other items and charges, and change other document information, if needed. Now you can easily find the inventory item information you need quickly and easily – regardless of whether you’re working in Sage CRM or Sage 300 ERP. It’s just one of the many benefits of integrated ERP and CRM working together as one cohesive system. 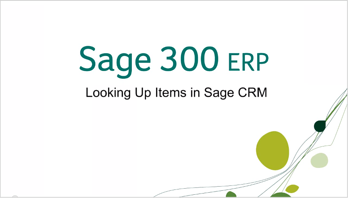 To learn more, contact the Sage CRM and Sage 300 ERP experts at Equation Technologies for a quote, demo, or support.